Ex-Blur guitarist Graham Coxon, having already made quite a name for himself as a solo artist through his previous albums, has announced a new May tour for 2009. The chap behind the boyish voice and catchy if not simple lyrics will play a series of smaller-venues as the festival season beckons. 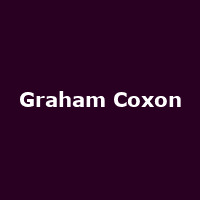 Busy Coxon is currently on tour with Pete Doherty, and recently showcased his next album at music industry festival SXSW in Austin, Texas. New album 'The Spinning Top' - of which it was announced yesterday would feature artwork drawn by Coxon like his previous releases - will be released on May 11th. Starting on Sunday 3rd May in Norwich, Coxon will see through 6 dates throughout the UK, before embarking on a series of summer shows reunited with band Blur. Tickets are £14 each and are on sale as you read this...what are you waiting for! ?